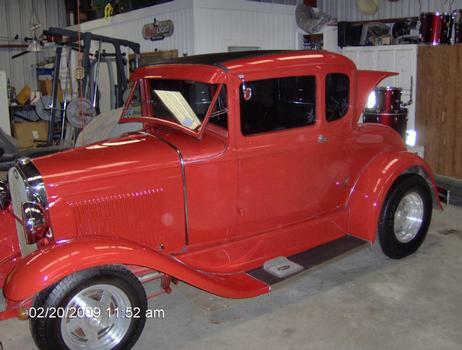 My friend also has this beautiful 1931 Full fendered 5 window coupe. 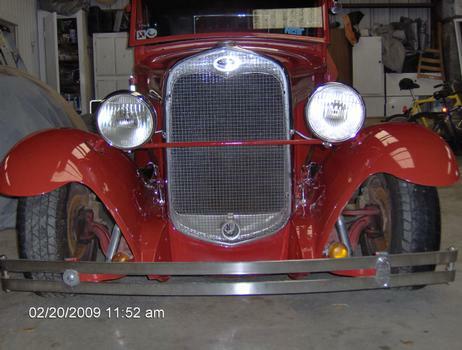 This car was professinally built up in Indiana in the mid 90's, and made the cover of "Hot Rod" mag a few months later. 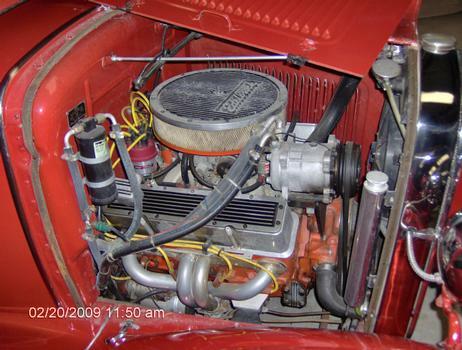 It comes ready to run with a 383ci "stroker", set up for Nitros. 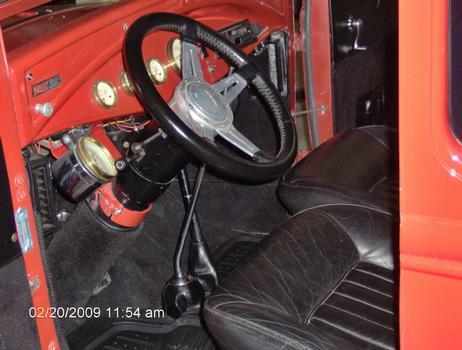 It has an auto, A/C, Blk Cordovian leather interior/w-red exterior. A kool! 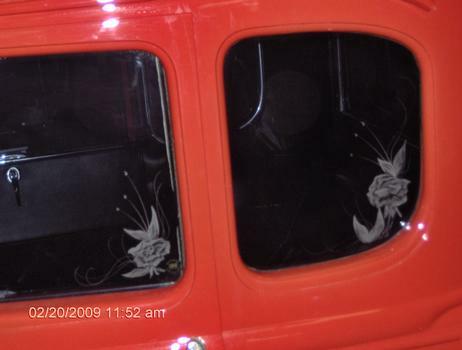 touch is a rose etched in the cornor of each side window and the gauges. 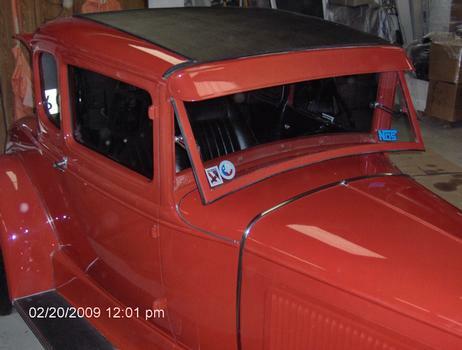 The front window tilts out and it is titled as a 1931 Ford. It to has been in storage around 2 years. A little TLC and she's ready to run, with the big dawgs, or may lead!! !